The African Court of Mediation and Arbitration, CAMAR by its French acronym, has just opened in Marrakech, Morocco. It will intervene to settle disputes involving Africans at the continental level. The project to set up CAMAR was finalized at a constitutive congress held in Marrakech, on April 5. 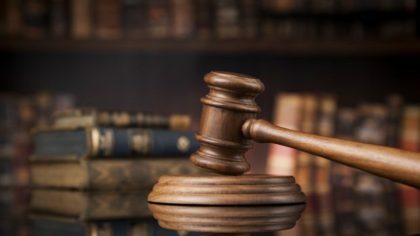 The Court, the first of its kind in the continent, will handle disputes involving states, African companies and multinationals operating in the continent. Such disputes were so far settled at the level of the arbitration courts of The Hague, Paris or London, which generally serve as a reference in the settlement of disputes on the continent. The mission of the new court is to open up new perspectives and a better organized legal framework in line with international arbitration standards to settle disputes involving Africans states, businesses, among others. This court is also competent for the settlement of multiple disputes related to commercial contracts, intellectual property, oil and gas contracts, engineering, tourism, real estate, etc. The creation of this arbitration institution will help the AU to address the challenges facing the continent for the implementation of its flagship programs that have the highest impact on Africa’s growth. It is up to Africans to position this court as the benchmark jurisdiction for continent-wide dispute settlement, bypassing international courts. For this, the college of arbitrators of the institution must convince the countries of the continent to require that disputes be referred to CAMAR for a settlement. Note that in 2016, the Paris-based International Chamber of Commerce (ICC) saw a 50% increase in the number of arbitration involving an African party because of lack of competent institutions on the continent. Several factors contribute to African parties looking outside the continent. There is a relative wariness due to the political and military situations of some countries and also some of the courts are perceived as being too subject to pressure from member states and does not have a good reputation, which damages investors’ confidence. The new institution, therefore, intends to convince the African Union that “an arbitration clause” will be instituted so that all contentious cases on the continent are automatically referred to CAMAR. To this end, analysts say the institution must, first, prove itself in terms of competence and neutrality.